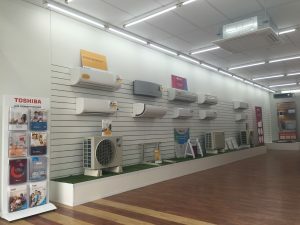 At Cold Bear Air, we are air conditioning Glen Waverley, so pride ourselves on providing a high quality standard customer service and installation workmanship that surpasses our competitors. We are providing smooth design, supply, installation and services for almost all air conditioning type systems. 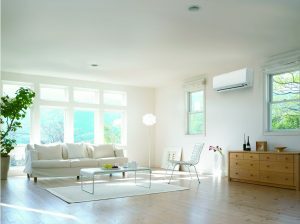 In addition we install quality air conditioners brands. Including Mitsubishi Heavy Industries, Daikin, Toshiba, Hitachi, Midea, Fujitsu, Mitsubishi Electric, Carrier, Temperzone and Braemar. Since we only employ specialised staff who achieve the high standard of air conditioner installation and service that we demand. If you are looking to install single split air conditioners, Multi split air conditioners and ducted reverse cycle air conditioners, gas ducted heating units or evaporative cooling systems, so we are the one stop store for you. Cold Bear air conditioning Glen Waverley offer scheduled air conditioner maintenance and emergent repair call outs services. We also offer maintenance and on-going servicing for new heating and cooling systems supplied and installed by ourselves. Despite how old the systems are, as we have built a fine reputation for the reliability of our single split air conditioners, multi split air conditioners, ducted refrigerated air conditioners and all other varieties of heating and cooling products. We can service and maintain all types of heating and cooling systems in all environments from residential homes also commercial even industrial units by providing reliable, responsive and quality services to all our customers. Cold Bear air conditioning Glen Waverley provides smooth design, supply, installation and services for all air conditioning type systems. Because we only employ licensed technicians and electricians to ensure all air conditioner installations are compliant with Australian Refrigeration Council, Victoria Building Authority and Australian standard. Our technical consultant will pay a free visit of your house and provide you with a full installation assessment before we give our competitive quotes. We always make sure our installation hassle free. We offer 6 years installation warranty. It leaves you a peace of mind and let you enjoy in your air conditioned home. We are servicing most Melbourne East and South East suburbs. Air conditioning Melbourne installation. Free quote, contact us.